Moschino Funny! is a delicious playful fragrance, energizing and audacious, radiant and stimulating. A floral accord tinted with fruity accents, which blends charm and vitality, tenderness and spontaneity. A fragrance that will please the joyful, spontaneously elegant woman who have not lost their sense of fantasy or humour. Fruity accents that begins with an invigorating and yet spicy opening of pink pepper, Seville orange and red currant, layered over a luminous heart of jasmine and peony shaded with fruity accents of green tea and an intense dry-down of amber and cedar. 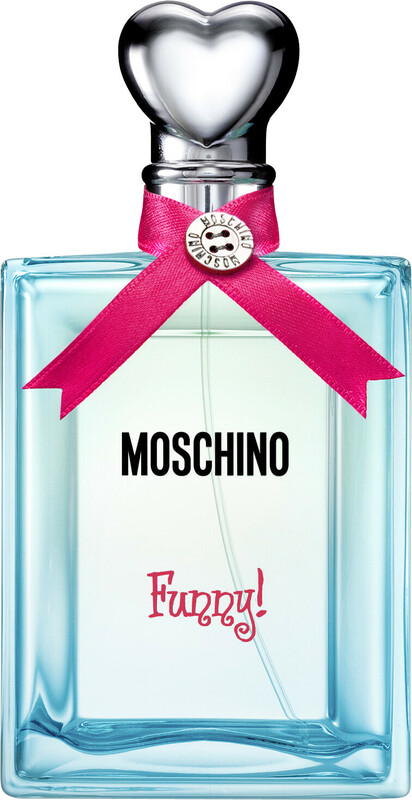 Top Notes: Pink Pepper, Orange, Redcurrant. Heart Notes: Jasmine, Peony, Green Tea. Moschino Funny! Eau de Toilette Spray is rated 4.7 out of 5 by 3. Rated 5 out of 5 by andreeac from nice fresh-fruity-fun perfume this was my first perfume, and had in total 3 bottles of it; it's a nice, young fresh, fruity, fun perfume, great for summer! Rated 4 out of 5 by Farah from Hands down my favourite perfume. It has a great sweet citrus scent that is grapefruit dominated without being overpowering. The name is perfect, I feel good and have to smile as soon as I get a whiff of this, just makes you feel happy and alive! Its very vibrant and fresh and great as an everyday scent. I wish it had better staying power however. Rated 5 out of 5 by tiana22 from Funny! A fun, sweet and fresh scent! Doesn't last long but I really like this! Great for summer.